JOE TOLO TURNS THE HEADS OF TWO MEGA STARS! The moment we have all waited for had finally arrived..An incredible memorable moment for Sacramento's own Joe Tolo! Joe secured a coveted spot to show case his amazing pipes on the up coming over all battle for the gold! Golden opportunity that is, to beat the best of the lot! The winner will win among other outrageous prizes, a recording deal of his own. A dream come true for Joe.. When asked how he is taking all this in, he replied; "I'm stoked" and incredibly grateful to God"! Joe: "I was just overwhelmed by the love and support I've received since my audition aired. It's just crazy"! Exclaimed the shy 21year old from Sacramento. Joe Tolo, originally from Am.Samoa was 4years old when he migrated to what he now calls home, Sacramento Cal. With so much on his plate we were fortunate enough to catch up with Joe who kindly gave us a few moments of insights about his once in a life time journey to the Voice. He shared his sentiments on how it all unfolded for him. Bound by a confidentiality clause, we were restricted to questions that were non intrusive or noncompromising to the specifics of his contract. Writer: What do you think of all the new friends and supporters you have just gained tonight? Joe: "It's just a great feeling to know that I have so much support from people all over the world". When asked about how he felt coming this far in the game. Joe stated, that before all this happened, "I doubted, that I would get this far. But I just left it in God's hands, and look where he has brought me. Its just unreal.. Writer: What was it it like to be on that stage? The idea of being on that stage seemed so surreal its unbelievable! Writer: Back paddling a bit, to the moment you embarked, on the shore of your dream. Did you feel you had put your blood, sweat n tears into your preparation? and what was going through your head as you walked on the stage? Joe: I was ready as I'll ever be. Church helped me a great deal in my preparation, practicing and performing when ever and where ever I could with my friends and a lot of support from my family. So much was going through my head at that moment. I was so emotional. My adrenaline was pumping, I was nervous, excited, all at once! When I was walking up that stage, I remember telling myself, "don't fall! Don't fall! he laughed. Writer: Well, your success up to this point, has truly proven your perseverance and determination in pursuint of your dreams. If you were nervous, we certainly did not take notice. You were sensational! Joe: Thank you! Writer: How did you feel when Christina turned for you and later joined by Blake? Joe: I was ecstatic. My nerves went away and my confidence level just shot through the roof! I knew, she liked what she was hearing, and at that moment, I knew, it wasn't over for me. Joe continues, The fact that these two amazing artist, of talent, and fame wanted to work with me confirmed, that I was doing the right thing. That I was at the right place at the right time. It was just an incredible feeling. Writer: That is quite a profound statement worth noting. Now, the bonus question of the evening. It must of been extremely difficult to choose between these two mega stars. Why did you think Christina was the best person to work with vs Blake? Joe: It was hard. It would have been an honor to work with an amazing artist like Blake but "I picked Christina because at the time she was the one who fought harder for me. She appealed to my sense of optimism and confidence. I was sold when she said, she was ready to win it with me. I asked: Winning the Extra's competition was quite a milestone in its self. What was your families' reaction to winning an opportunity to the grand prize of all dreams? What was Mom n Dad's reaction? Joe: My Mom was in disbelief. She was just very proud of me. My family was just blown away and were very happy for me. 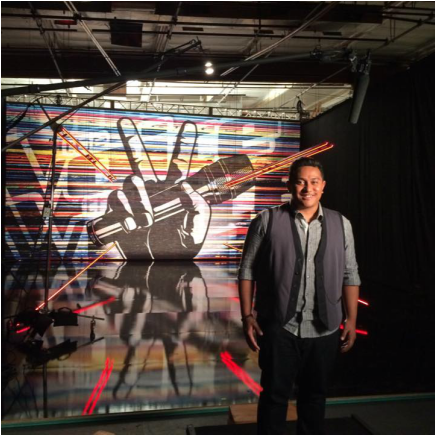 Watch the performance that sent Joe Tolo into the next round of the Voice as a member of Christina Aguilera's team. Joe Tolo is on Team Xtina. Click on Joe's picture to go to I-Tunes and purchase his song, Love Sombeody. Writer: At one point in your introduction you became very emotional and tears welled up when talking about your family. You even had me in tears and I'm sure thousands also felt for you. Can you elaborate on that? Joe: At that moment, I thought of all the hardship and challenges that my family has gone through up to that point. Yet through the grace of God we made it through together. And then for me to even make it on the Voice, was a miracle in its self. It just added to the awesome blessing God had in store for me and my family. Writer: That is awesome. Nothing measures happiness and success, more than staying true to your faith and convictions. I'm very happy for you. Writer: What ever the outcome of your journey, do you plan to complete your education and obtain your college degree? Joe: Yes. That is a must for me. I am only a few classes away from obtaining my Health Science degree in Admin and management. Writer: With thousands of eyes and ears on you now, I think that is a very wise and responsible thing to do. Any speculations or thoughts on winning the final battle? Joe: I'm not going to focus on the probability of making it to the final battle. But I will focus on having fun, creating amazing memories and net working with such incredible artists I'm honored to be among. 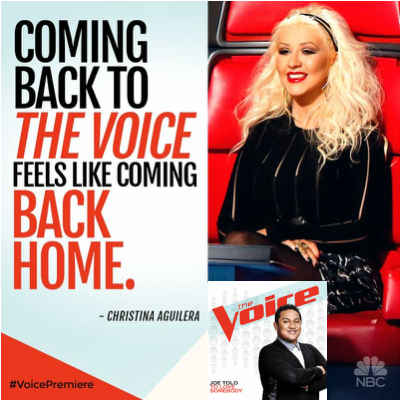 Writer: What do you hope to take from Christina as your coach? Joe: I hope to learn all I can from her expertise and many years of awesome experience. I really feel blessed to work with her. Writer: Do you have any wise words for the huge fan base of youth and young adults rooting for you? Joe: Yes. I want to give a big shout out to my family and friends, my Poly peeps, church family, school friends and neighbors who have been my greatest supporters. But especially to all my new friends and supporters I gained along the way. I want to tell all of them, that there is no dream too big or to small that God can't fulfill. The door is wide open and opportunities are readily available to Polynesians and every youth around the world. Don't put limitations on yourself on account of what others say. Find your nitch in life, and work hard to achieve it. It is true, that you get out what you put in. Writer: Thank you Joe. On behalf of Le malae and Samoans in Sacramento, we wish the best of God's blessings for you and your family. To all our readers and supporters, we invite you to Join us at www.samoansinsacramento.weebly.com as we bring you to the next segment of Joe's continuing saga. We will be following this amazing young man's journey with the stars.. Also please check out and like our Face Book page "Samoans in Sacramento".